The Department of Labor, it would appear, is working overtime. Two weeks ago, WIPP responded to the agency’s proposal to require labor history for federal contractors. 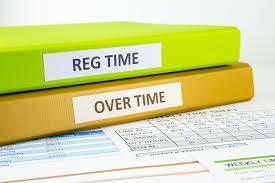 Now, WIPP is addressing a different proposed regulation – this one making changes to overtime pay. Both proposals were well intentioned, and both pose risks to women entrepreneurs. Disclaimer: this blog is a brief summary, so if your business may be affected I encourage you to read WIPP’s comment in its entirety. It all began last spring, when President Obama directed the Labor Department to update overtime regulations, saying the standards for some employees had “not kept up with the modern economy.” Specifically, the so-called white-collar exemption was out of date. The exemption allows employers to avoid paying overtime (required anytime an employee works more than 40 hours a week) for executive, administrative, and professional employees because they typically have better pay, benefits, and privileges. The exemption has three criteria. First, the employee must be salaried. Second, the salary must be above a certain threshold. Third, the employee duties must meet certain criteria – basically, you cannot just give someone a manager’s title and exempt them; they must be acting as a manager. To answer the President’s call for modernization, the Labor Department proposed to update the second piece, the salary threshold, from roughly $24,000 to $50,440 and index it to economic growth. Essentially, this qualifies white-collar employees who make less than $50,000 a year for overtime pay if they work more than forty hours a week. WIPP agrees with the President that our regulations do not match a 21st century economy, and we should work on updating these requirements for a fair and modern workplace. Moreover, companies that are purposefully skirting the rules on overtime pay and cheating otherwise qualified employees should be held accountable. Nonetheless, simply doubling the salary threshold goes too far and achieves too little. While large companies in large cities may be able to afford a $50,000 salary floor, the entrepreneurial community is left with bad options: possibly cut employees to afford a minimum salary for others, or restrict working hours and set up an hourly tracking system. Notably, the Labor Department estimated only a quarter of employees will likely see higher paychecks. Others may see reduced hours. In the comment, WIPP highlighted concerns about the cost to implement the rule, difficulties in application of the rule, and the dangerous impact on employee wages and benefits. The Labor Department predicted that simply implementing this change would cost small businesses, including the vast majority of the nearly ten million women-owned firms, between $130-$180 million in the first year alone. That does not include the more than $500 million in increased wages small businesses are expected to pay. The Labor Department itself mentions that business could cut hours and benefits to make up for this loss. Moreover, to ensure compliance with these new regulations, businesses will begin closely monitoring and tracking their employees’ work hours. Tracking and monitoring employee hours is very difficult, if not impossible, given the evolving dynamics of the workforce. Many white collar employees have flexible schedules, work from home, check and answer emails from smartphones or tablets and are no longer restricted by a rigid 9-5 schedule. It also isn’t just companies. Non-profits face the same requirements. An exception for them (as well as small businesses) is so narrowly crafted it may not cover many mission-oriented organizations or the smallest of businesses. Both are places where working above and beyond forty hours a week may be more about commitment to a cause than a bigger paycheck. For this reason, WIPP asked that the exception be broadened to actually apply to small businesses and non-profits. The idea that our regulations need to be updated is not political – it’s common sense. But often the regulatory pendulum swings too far as it has here. As proposed, women entrepreneurs could face the arduous tasks of transitioning current employees from salaried to hourly workers and possibly cutting benefits to make payroll all while tracking and limiting employee hours. Talk about working overtime. This entry was posted in Economy, Government Contracting, Regulations and tagged Department of Labor, overtime, regulations by WIPP. Bookmark the permalink.